Australians suffering from persistent pain can be forced to spend up to $11,000 each year on medical bills, management costs, and medications to treat their condition. With codeine becoming prescription only from February 1, 2018, patients are now looking for new ways to manage their persistent pain. 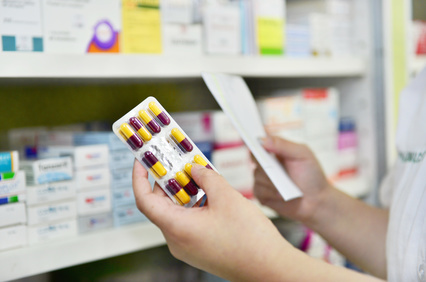 Discount Drug Stores’ pharmacist, Melissa Hui, shares her four simple tips for better pain management and ways to prevent further discomfort. For those who may still be adjusting to the switch from codeine to alternative medications, it’s important to ensure you’re substituting it with the correct prescription. “Recent evidence has shown that long term use of codeine and opioid medication can increase a person’s sensitivity to pain rather than providing pain relief,” said Ms Hui. There are a range of simpler methods to treat pain and find quick relief beyond taking medication. “Anti-inflammatory gels, muscular rubs, massage oils, and liniments can be a good alternative for relief, dependent on the measure of pain,” said Ms Hui. Chronic pain currently impacts an estimated 20 percent of Australian adults, and many of those suffering go undiagnosed and instead learn to live with the persistent pain. Choosing to improve your daily and physical functions is essential for recovery from persistent pain, as it switches your focus both mentally and physically. “A multi-modal approach to your daily routine including gentle exercise, stress management, or physiotherapy can assist with treatment,” she said. If pain starts to become persistent or difficult to manage, the next step is to seek expert advice from health professionals. “Everyone tolerates and experiences pain differently, so it is important to discuss symptoms with your pharmacist or doctor before taking any drastic action,” recommends Ms Hui. Discount Drug Stores was the first pharmacy brand to offer a national program for Pain Management, which provides patients a personalised care plan, tailored to individual pain concerns. Launched in 2017, the program consists of one-on-one 15 minute consultations to help patients understand their pain and how to best manage their symptoms. For more information on how to best manage your pain, visit www.discountdrugstores.com.au or visit your local Discount Drug Stores.